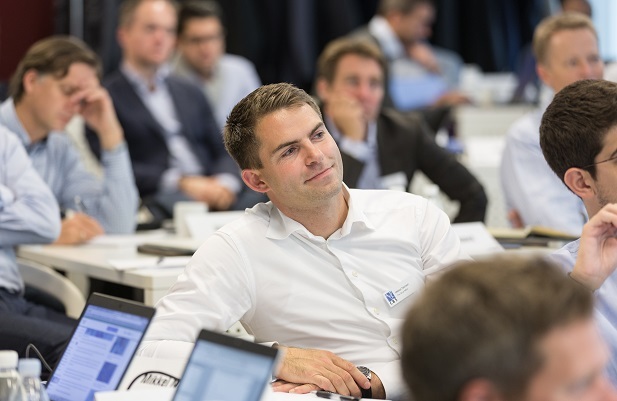 The CBS Executive MBA in Shipping and Logistics (AKA: the Blue MBA) provides you with unrivalled insight into shipping economics as well as modern management theories and their application in the maritime sector. Through the CBS Executive MBA in Shipping and Logistics, you will learn to adopt a holistic view of shipping, integrating commercial, technological and financial aspects as well as maritime law, supply chain management and leadership challenges. You will be taken to the top international level in business administration, reflecting the needs of the industry in a world, where globalisation, enhanced competition, and the speed of technological change place ever-increasing demands on executive management skills. Module 1 will give you a basic understanding of the shipping industry. Focus will be on the role of shipping in the global economy and an introduction to shipping economics. Modules 2 and 3 will give you a background for understanding, how the world economy works. This will include the drivers for globalisation, trade patterns, supply chain management and the logistical implications of this development. Modules 4 and 5 are devoted to industry specific issues, reflecting the holistic view of the business; they cover maritime law, ship design, and technical operational management, including the important aspect of information and communication technology development. Modules 6, 7 and 8 will focus on central topics of business management, dealing with investment analysis, finance and risk management, organisational theory and company strategy. The last part of the programme is the writing of the thesis, following a three-step process, where each step is concluded by an oral presentation, and the final presentation serves as the oral defense of the ISP/thesis. The aim is to demonstrate an ability to analyse a practical problem in detail, drawing upon all the knowledge from the programme. An introduction to each of the three steps will be given during the last module.